The majority of new build houses in the UK will be sold as freehold and new leases are to be capped at just £10 to put an end to unscrupulous leasehold practices, it has been announced. There will also be new measures to make it easier for leaseholders to get tenant associations formally recognised and protect consumer interests, according to the Secretary of State for Housing, James Brokenshire. He launched a consultation on the issues and explained that it builds on action underway to make property market fairer including crackdown on rogue landlords and ending unfair charges for tenants. There will also be help for existing leaseholders who want to buy their freehold by working with the Law Society to make this process faster, fairer and cheaper, and ensuring tenants are not hit by unfair rental costs. ‘Unfair ground rents can turn a home owner’s dream into a nightmare by hitting them in the back pocket, and making their property harder to sell. That’s why I’m taking concrete action to protect home owners and end those unscrupulous leasehold practices that can cost tenants hundreds of pounds,’ said Brokenshire. ‘While leasehold generally applies to flats with shared spaces, a number of developers have been increasingly selling houses on these terms, placing further financial burdens on those looking to buy a house of their own through unnecessary surcharges like ground rent. This can also mean selling their home is more expensive and take longer than selling a freehold property,’ he pointed out. ‘Under the Government’s proposals, which are subject to consultation, the majority of new houses will be sold as freehold and future ground rents will be reduced to a nominal sum. The consultation will also seek views on what are the appropriate and fair exemptions, such as shared ownership properties and community led housing to ensure consumers’ best interests are at the heart of the property market,’ he added. Brokenshire also pointed out that Ministers have also made it easier for them to form recognised tenant associations by reducing the minimum membership required and this will further empower those in leasehold homes to enforce their collective rights and hold landlords to account. Under the new rules, landlords will be required to provide contact information of eligible leaseholders to the secretary of the residents’ association within four months of the request, providing that leaseholders have expressly consented to their details being shared. Statistics published by the Ministry of Housing, Communities and Local Government (MHCLG) estimate there were 4.2 million residential leasehold properties in England in 2015 to 2016, of which 2.9 million, or around two thirds, were flats. 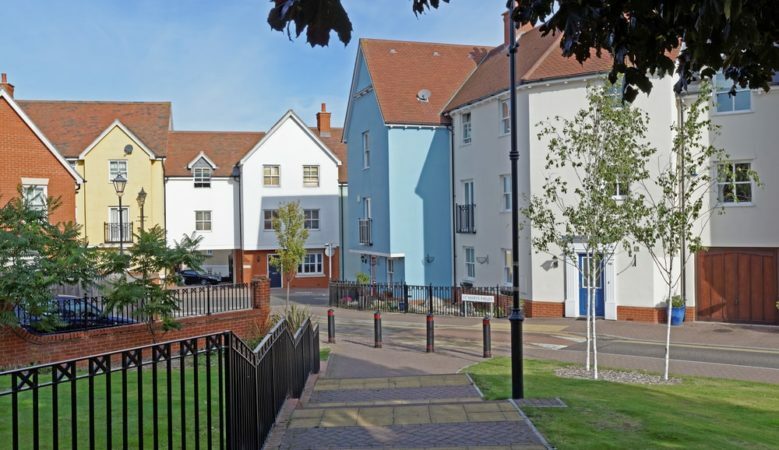 The National Association of Estate Agents (NAEA) said that the announcement is only good news for those looking to buy a leasehold property in the future. Chief executive Mark Hayward explained that the consultation will need to address the situation of the current 4.2 million leasehold properties in England. He pointed out that many home owners will remain stuck in their lease with no straight forward way out and the industry needs to help them. ‘Thousands of home owners across the country are facing escalating ground rents, charges for making alterations to their properties and unable to sell their home,’ he said. ‘Therefore, it’s only right the Government looks to crackdown on unfair leasehold practices to stop even more people feeling trapped in homes they cannot afford to continue living in,’ he added. He also pointed out that recent NAEA research found that 45% of leasehold house owners didn’t know they were only buying the lease until it was too late, 62% feel they were mis-sold and 94% regret buying a leasehold. ‘This shows that for too long, house builders and developers have not been transparent enough about what it actually means to buy a leasehold property,’ he concluded.